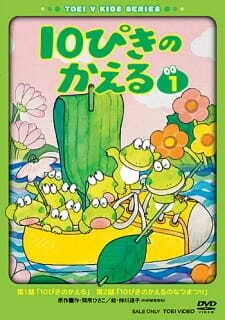 Ten frogs set out in search of adventure in their swamp, sailing in a boat made from a running shoe. Based on the children's book by Hisako Madokoro and Michiko Nakagawa, the story of the frogs returned in a second episode, in which they went to a summer festival. Each episode has 2 stories in it.